The 2012 CMJ Festival is less than a month away and you can expect a bunch of announcements soon as to what BrooklynVegan has planned this year. 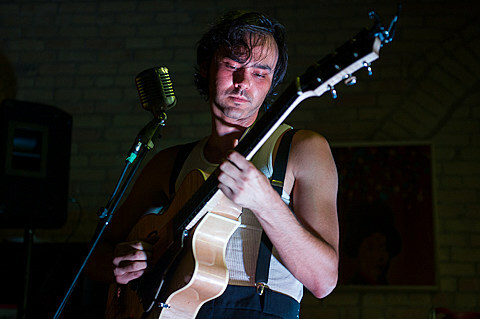 Meanwhile here’s one that involves our BV Austin site. 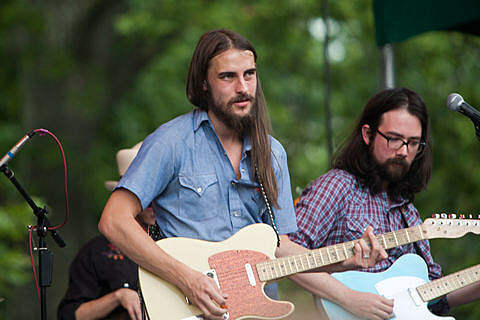 The Convoy Group, Regressive Records, Eye in the Sky Collective, and BV Austin presents, along with Tito’s Handmade Vodka, The Texas Takeover Party, which is an official and FREE CMJ event (with free Tito’s until it runs out). 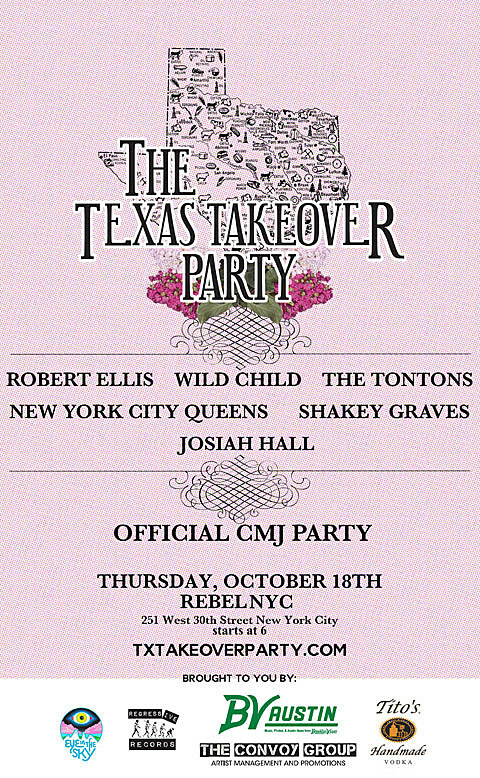 The party happens on Thursday, October 18 at Rebel NYC (251 W. 30th St.) and features an all-Texas line-up: Houston’s Robert Ellis, Austin’s Wild Child, Houston’s The TonTons, Texas’ Shakey Graves, Houston’s Josiah Hall and Houston’s New York City Queens. The fun starts at 6 PM and CMJ badgeholders can just walk right in. Everyone else who wants to come should RSVP here.